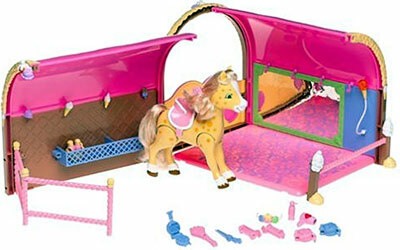 Open this fun ice-cream themed stable to a fun grooming salon for all your filly friends. Groom their beautiful hair and get them ready for the berry fun Filly Parade. Comes with a play Honey Pie Pony doll with color changing hair.